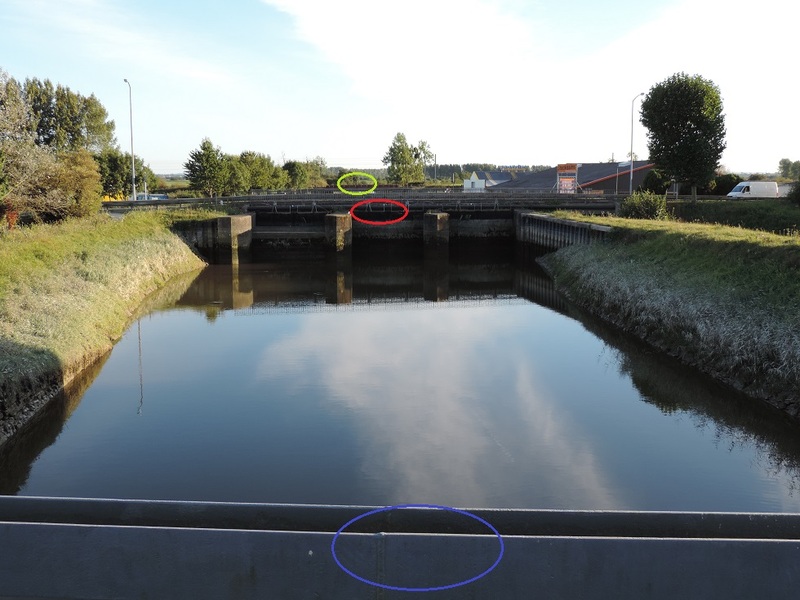 Although a first Bailey bridge is installed by the soldiers of the 300th Combat Engineer Battalion, still visible today along the harbour channel near the lock, the crossing of the Taute River by the US Army has to allow a free and fluid traffic of the allied traffic from the first weeks of invasion. However, all the infrastructures allow to cross it were destroyed during hard battles for the Liberation of the city of Carentan (50) (101st airborne division), junction point of Utah Beach with the other allied landing beaches. So, new installations are built in various points between the municipalities of Saint-Hilaire-Petitville and Carentan (50). 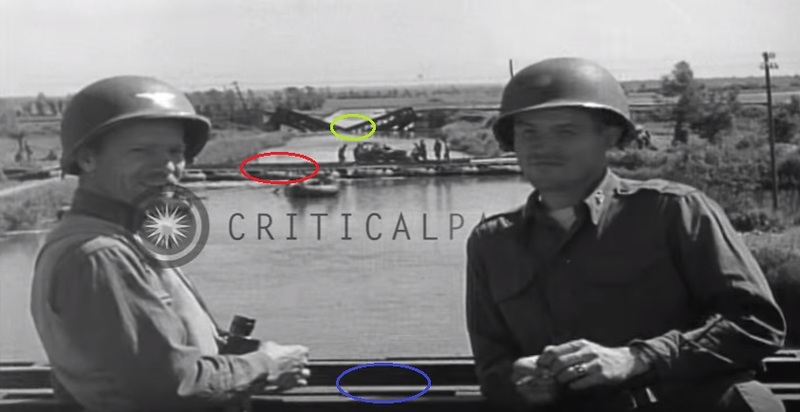 In blue, the bridge which will go into History as “Tucker Bridge”, further to the death of commander of the 300th, who will be temporarily a double Bailey bridge until the original stony bridge is done up. In red, to improve the road flow and by-pass the bridge Tucker, a pontoon bridge is fitted out and so, vehicles progress on inflatable boats. This bridge is strengthened today, it lines the store called ” Stockissimo ” and is endowed with a door with stream since the 50s. In green, the railroad is also broken, the men of Tucker then have to rebuild a work together with the men of the 729th Railway Operating Battalion to allow the trains to cross the river again.